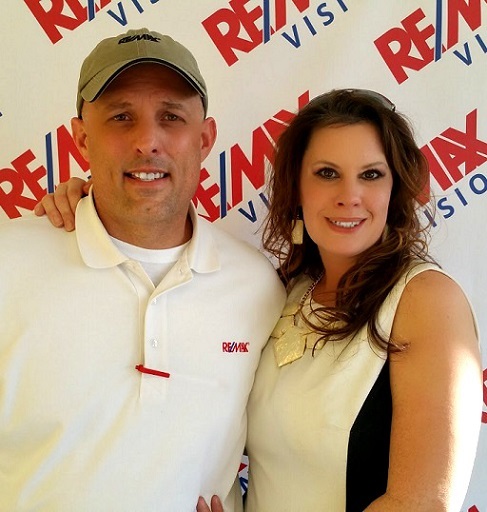 REMAX Vision in Hutto is a locally owned and operated full service real estate company with a qualified & friendly team of realtors. Owners A.C. & Maureen Rooker have been living & working in hutto for more than 10 years.The realtors in our office are all very active in our community and extremely knowledgeable of the local area real estate market & trends. We also offer extensive knowledge of mortgage lending & financing options.This is a very valuable asset to many homebuyers and in many cases can save a homebuyer alot of money.This is very helpful if you are purchasing a NEW construction home. Don't forget, the onsite agent works for the builder,not the buyer. Make sure that you have a realtor working for you. It doesn't cost you anything extra and it can save you a lot of money and stress. Let us help you find that perfect home or investment property. We are always available to help you with your real estate needs or questions so don't hesitate to call us. Interested in selling your home? Find out what your home is worth in today's market. I will furnish you with a FREE Comparative Market Analysis on your home! No obligation, of course. Once again-Call us anytime or just Stop by our office. Whether your looking for Golf Course Property, Water Front or Lake, Hunting Acreage, Investments, Farm & Ranch, Horse Properties, Foreclosure Investments, Relocations, HUD Properties, Commercial Real Estate, Duplexes, Apartment Complexes, 1031 Tax Exchange Investments or any other type of residential homes and other real estate needs including Credit Repair and Mortgage Services. We want to be your Austin Area Real Estate Agents! See our website for current listings. Specialties:Buying, Selling, Foreclosures, Distressed properties,REO,Leases, Property Management, Relocation, 1031 tax exchange, New Homes, Resales,Foreclosures & investment properties, Residential, Commercial & Farm & Ranch. Serving Hutto, Williamson County, Travis County, Milam County....Austin,Pflugerville,Manor,Elgin,Round Rock,Cedar Park,Leander,& all areas of Central Texas. I am a registered property tax arbitrator with the State of Texas. If you dispute your property taxes and lose your case, you are allowed by the state comptrollers office tto pay a fee, and file an appeal. Arbitration is the next and final step. The arbitrators decision is final and binding. Our REMAX franchise, REMAX Vision is our dream and reality. Thanks to GOD we have been very sucessful! Sometimes it's hard to be the owner, but definately worth all of the work and occasional stress. I worked as a realtor for Jimmy Joseph. He was like a dad to me. I am in the great position in life because of him & GOD. He loved me very much, as I did him. He said that I caused the bald spot on top of his head! Jimmy died suddenly in December of 2005, three weeks before I had Emilie. I will forever be greatful for knowing and loving him, and for the positive influence that he had on my life. I am a registered Tax Arbitrator in the state of Texas, and I have education in almost every aspect of the Real Estate industry. I previously held a loan officers license. If it's real estate related and you have a question....I probably have the answer. I wanted to go to law school, but who has the time! I wanted to go to nursing school...but always pass out at the sight of blood....Keep my day job...right! Activities and Societies: I have lots of education from Texas Tech as well as several other places through NAR. I hold a CRS designation, a CDPE designation, am currently working on my CCIM and RLI as well as GRI and ASP. I am a class junkie...I have many hours, and education in almost every field of Real Estate. Interests:I love spending time with my husband and daughter....and shopping, of course! I also like to travel, but can't really find the time anymore. I do love to network and have a great time! I am very out going and extremely easy to get along with...and very likeable! Centex Homes top 5 Realtors 2000 or 2001 or 2002...Who Remembers?